The Virage is a car produced by Aston Martin to replace the previous V8 models. Compared to the V8, the design was more modern and the chassis was an evolution of the Lagonda models. The Virage was a big and heavy car despite its full aluminum housing. The 32-valve 5.3L V8 engine took this model to supercar levels. "Acceleration never seems to run out" claimed Sports Car International during an initial test. They also praised the "enthusiastic and faster engine speed" of the 330 hp engine. The 1790 kg car could reach 254 km per hour. An upgrade to 349 horsepower was announced at the Geneva Show in 1996. Comedian Rowan Atkinson owned a Virage Coupe that was on the front of Car magazine in May 1990. A less extreme V8 Coupe was built from 1996, replacing the Virage. This model did not have superchargers. In total, 101 copies of the V8 version were built between 1996 and 2000. The Virage Volante convertible debuted at the Birmingham Motor Show in 1990 as a two-seater. At the Geneva Motor Show in 1991 a 2 + 2 version appeared. Production examples from 1992 all had 2 + 2 seats. Sources claim that between 224 and 233 pieces were produced when the series ended in 1996. A new V8 Volante Long Wheelbase, with styling based on the V8 Coupe was built between 1997 and 2000. The last Virage variant was the V8 Vantage Volante from 2000. Nine of these powerful convertibles were produced. Buying an Aston Martin Virage? The Vantage was produced from 1993 to 2000. The design was refreshed with only the roof and the doors of the previous model. The Vantage was wider, lower and had four round taillights. The car was equipped with a new rear suspension and interior electronics. The most radical change in the Vantage was in the engine compartment. The 5.3L V8 engine now uses double superchargers. The top speed was 300 km / h, with acceleration to 97 km / h in 4.6 seconds. For the V600 from 1998 the engine was upgraded to 600hp. The earlier version is often called "V550" to distinguish it from the later, updated models. In 2000, the "Works Service" of Aston Martin built nine tailor-made Vantage Volantes, one of which was built with long wheelbase specifications. 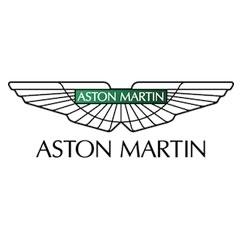 What are the advantages of buying a Aston Martin Virage car at ER Classics?